Since the Industrial Revolution, fossil fuels have powered global economies, and up until now they are the primary sources for energy. Growing concerns for the environment led the industry to search for alternative solutions, including solar, wind, hydroelectric, geothermal, and biomass energy. However, the accessibility of oil, gas, and coal still plays a pertinent role in everyday operations. World Watch Institute reported that the total global fossil fuel consumption in 2012 was 87 percent and predicted that coal consumption would surpass oil by 2017. But given the current situation of the industry, people are finding the need to investigate the alternative energy market. While some working in the oil industry are expanding operations in the oil rich fields of southern Iraq, such as oil and gas services company UnaOil, others are exploring their options in hydrogen production. With industry analysts worried about the fate of oil because of the possibility of another oil crisis, sourcing hydrogen energy through the process of electrolysis has become a potential solution. The oil crisis in the 1970s was what first initiated the curiosity in developing a hydrogen economy, but it was only recently that companies revisited the idea. The most common way of producing hydrogen is by “cracking” hydrocarbons, yet the whole point of sourcing energy from hydrogen is to decrease the carbon footprint. A lot of energy goes into production and creates by-products such as greenhouse gases. Because this method is counter-intuitive for green technology, electrolysis “is the ideal zero-carbon solution” according to BBC. Electrolysis is expensive, thus the reluctance of many companies to implement it in manufacturing. 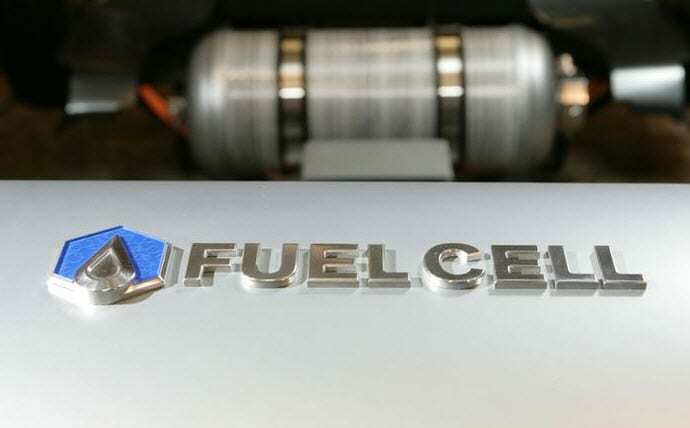 Hydrogen fuel cells have always been costly, but hydrogen is a vital resource for refining petroleum, as hydro-cracking and hydro-treating upgrade low-quality gasoline’s. Now that fuel cells are more efficient and commercially more viable, there is a big potential for market growth. Manufacturing.net explains that the hydrogen market value increased by about 17 percent from 2010, which was worth $82.6 billion at the time. Does this mean that the world can start weaning itself off of fossil fuel dependence and become a full-fledged hydrogen economy? In some aspects, yes, but it will be a while before we completely “decarbonize” our world.